It’s a sad fact that there are few places left on this planet where you can still feel like an explorer. Just try climbing the pyramids of Egypt and see how far you get before hordes of security guards appear. Mount Everest? Not without a string of permits. 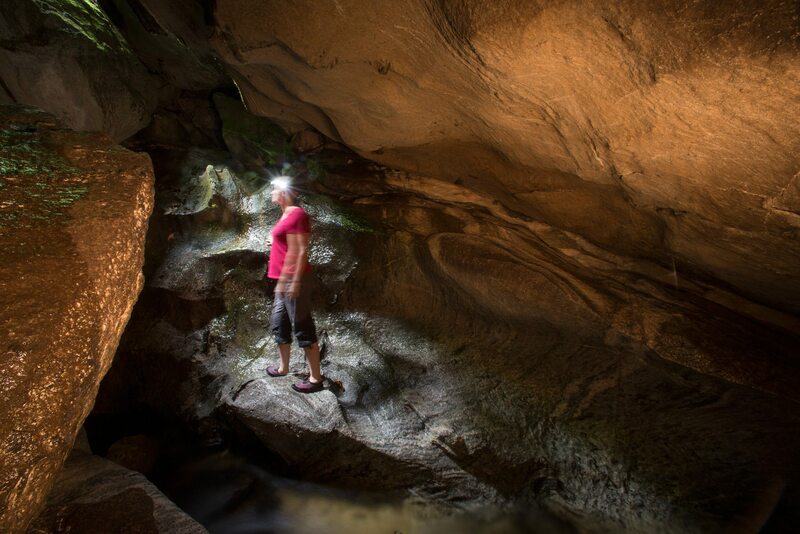 When it comes to adventure tourism, there aren’t many wonders left to discover on your own, which makes Lusk Cave in Gatineau Park a unique treasure. Who knows, you may even run into Prime Minister Justin Trudeau, who was seen with his son emerging from the caves’ exit this summer. A product of glaciation some 12,500 years ago, the long, winding cave descends into an impressive yawning crack. Shafts of light illuminate the first half; then the cave splits open, offering less adventurous spelunkers the opportunity to bail. 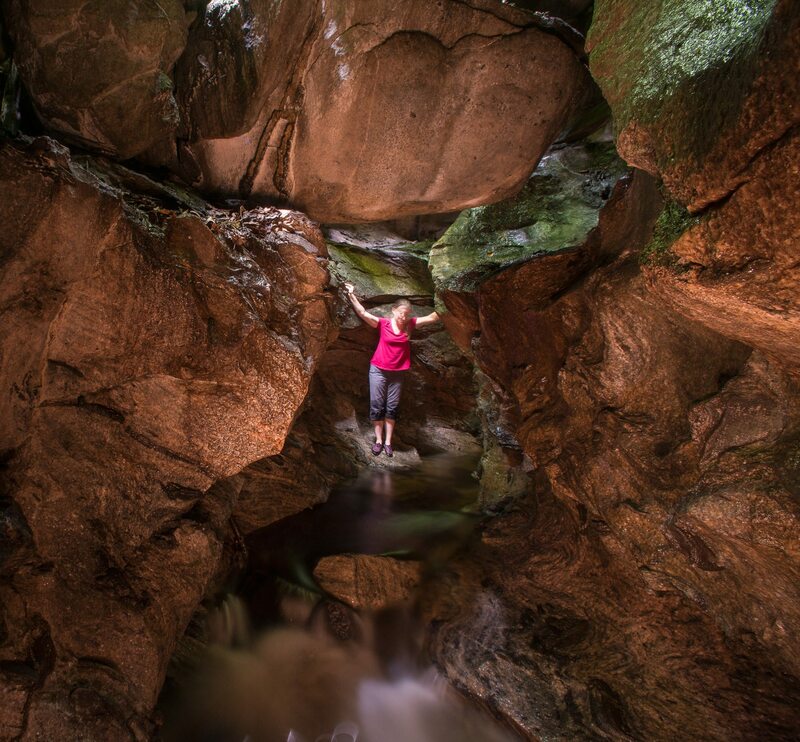 Lusk Stream snakes through the entire cavern — straddle it carefully and admire the smooth, arched walls, which rival the greatest man-made cathedrals. For thrill-seekers, the big moment comes at the end, when the ceiling drops sharply. Take a deep breath and swim under the cavern’s lip for a metre or so before emerging, gasping, into a pond where the sweet relief of sunlight is its own badge of honour. 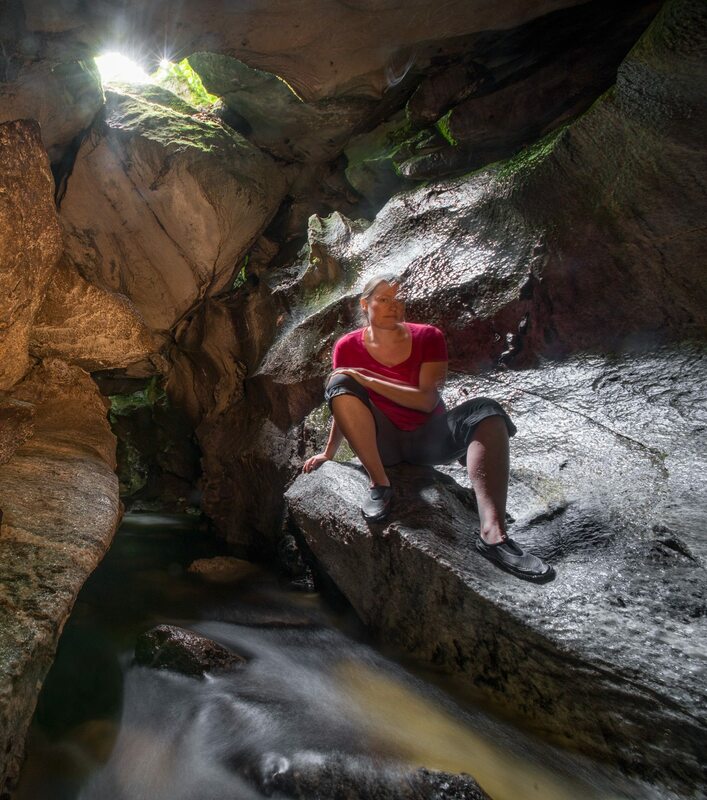 Lusk Cave offers a chance to escape the waivers and tour guides and experience pure, unadulterated adventure. Summer and early Fall, when the water is high but not too cold, are perfect times to test your mettle.